The Poor Relation is a family drama of secrets, ambition, duty and love, set against an Edwardian backdrop in which privilege is no guarantee of happiness and conventions are there to be challenged. Manchester 1908. Attractive, intelligent MARY MAITLAND, 23, is incensed when her pompous Town Hall boss won't promote her because she is a woman. Worse, her father, who also works at the Town Hall, has known all along that she had no hope of advancement: why would she need it? It is his job to support her. Mary determines to strike out on her own. Is it possible to be a dutiful daughter and at the same time spread her wings? 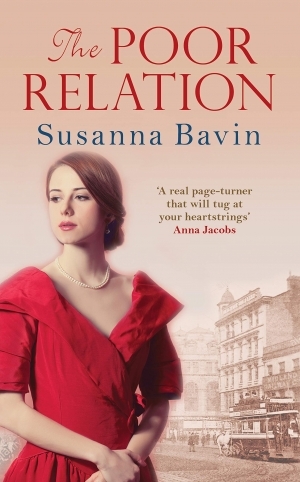 She finds work at a Women's Employment Agency, run by two progressive suffragists. There, her talent for writing is encouraged and she starts writing socially-aware articles for newspapers and magazines, though she has to use a pen-name so as not to be linked to her landed, titled relations, the KIMBERS. Mary's ultra-respectable lower-middle-class parents, JOHN and LILIAN, are horrified lest she brings the name of the mighty Kimbers into disrepute, especially when she makes friends with her distant cousin, carefree CHARLIE KIMBER, the heir, who finds her independent streak and social conscience intriguing. But Lady Kimber has other plans for Charlie. He is destined for her beautiful daughter Eleanor. When it seems that Mary Maitland - that upstart! - might thwart these plans, Lady Kimber sets out to ruin her. 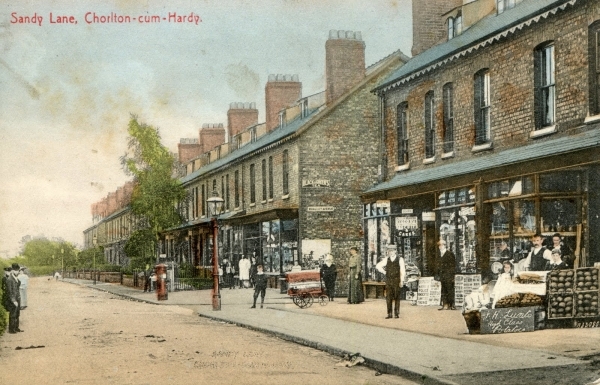 This old postcard shows the Town Hall, where Mary and her father both work. 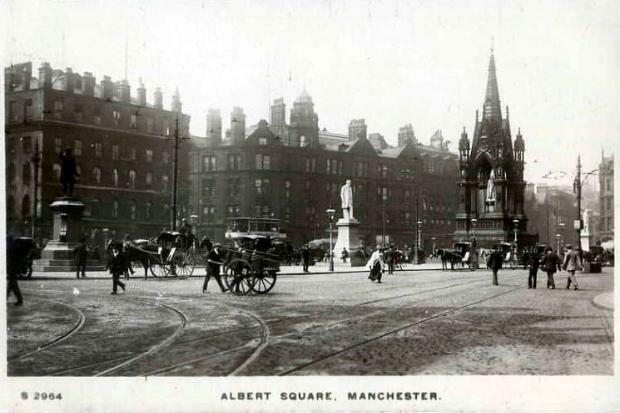 The building stands in Albert Square - the statue within the towered structure is of Prince Albert. Sandy Lane is where Granny and Aunt Miriam live in Candle Cottage, which is Granny's grace-and-favour cottage from the Kimber family.